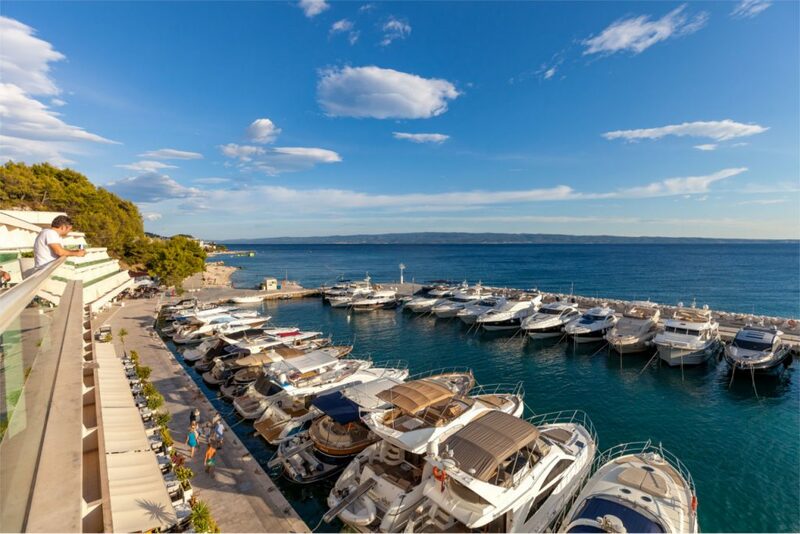 Marina Lav is located in Podstrana, a small village and tourist resort, approximately 5 km SE from Split. 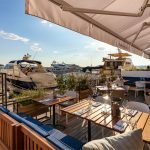 This small marina is part of the luxurious five-star Le Méridien Lav hotel complex. Sheltered by a pier on the E and 180-metre-long breakwater on the W, the marina is protected from all winds, although stronger maestral (SW wind) can send in a swell. 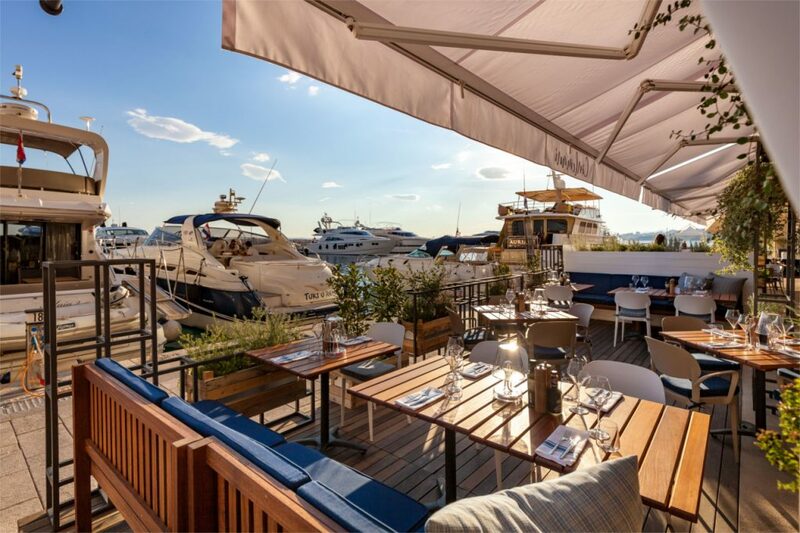 Marina Lav is open all year round. The busiest time of the year are months of July and August when this small marina gets full. 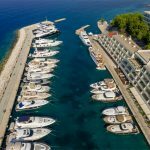 Marina Lav offers 74 wet berths for boats up to 40 metres in length. 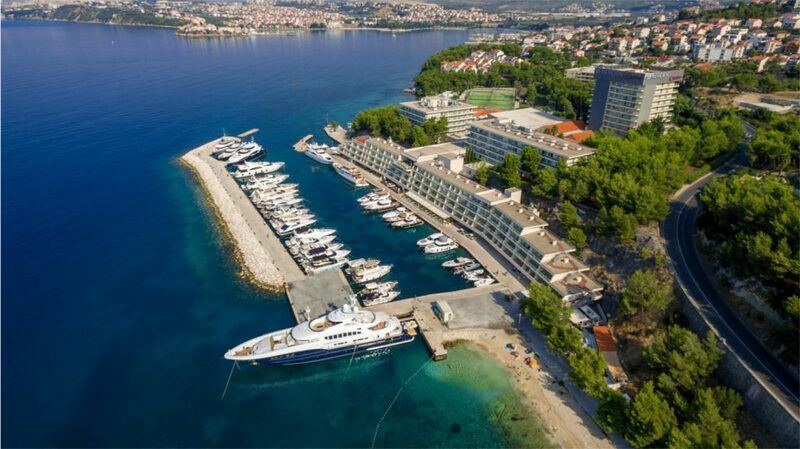 During summer months, the marina also offers berths for megayachts in transit on the outer shore of the marina. 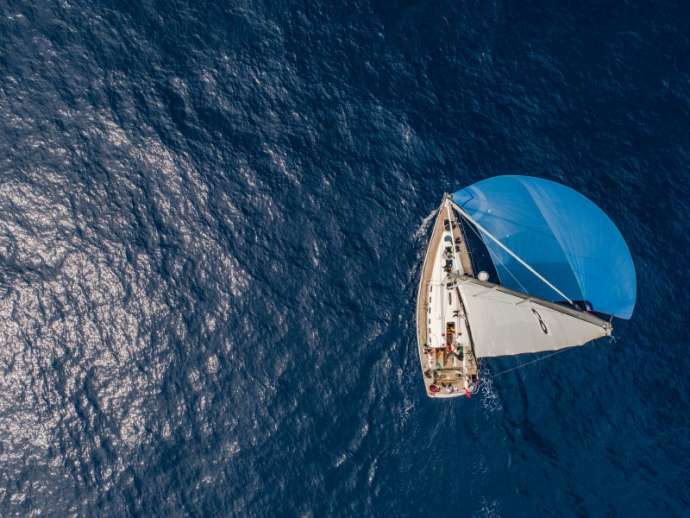 All berths are equipped with water and electricity. 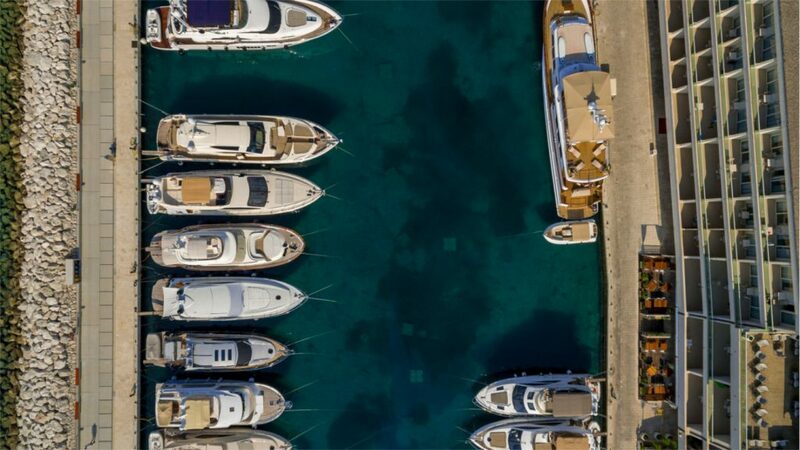 Water depth in the marina ranges from 2 to 3 m, with water depth at the outer shore being approximately 4 metres. 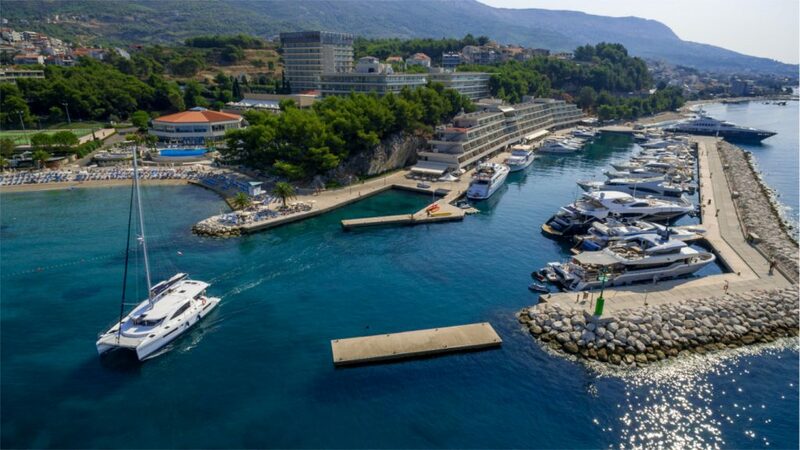 Podstrana is a small holiday resort with facilities, such as an ambulance, pharmacy, hotels, private accommodation, restaurants and grocery shops. 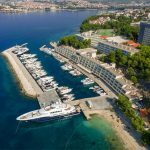 The nearby city of Split offers a wider range of facilities everything a sailor might need, such as shopping centres, farmer’s market, fish market, hospital, pharmacies, private accommodation, hotels, sport centres, spa and wellness centres, many more restaurants, cafes, night clubs, bars, nautical equipment stores, supermarkets and shops. 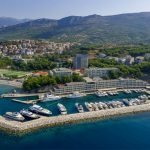 Split is a vibrant commercial and tourist centre, with many tourist attractions and museums, such as the world famous Diocletian’s Palace, a UNESCO World Heritage Site. 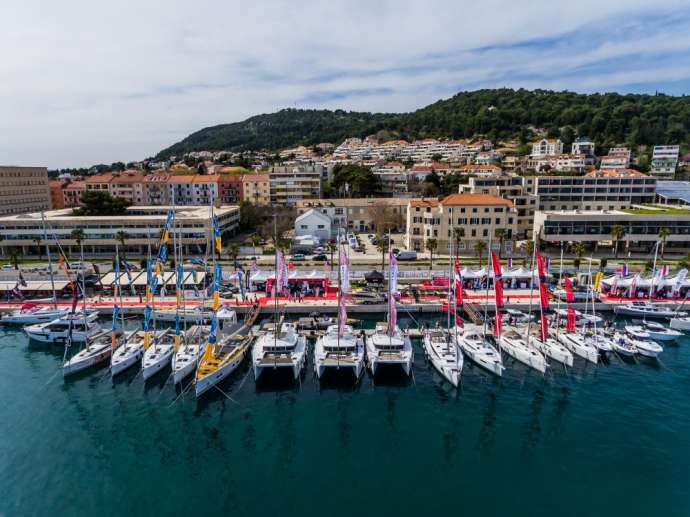 The nearest fuel station is in ACI Marina Split, approximately 3 nm from Marina Lav. Podstrana is connected to Split by a regular city bus line. 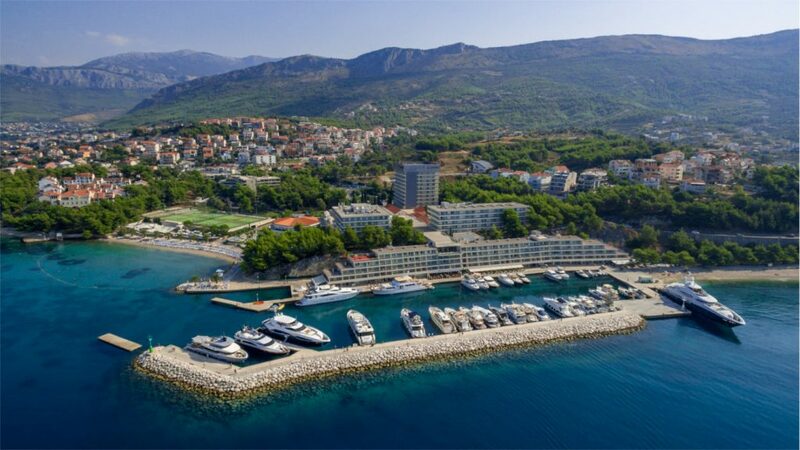 The marina provides a transfer service (shuttle bus) to Split and Split International Airport. 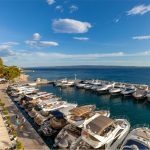 The city of Split has excellent transport links by ferry, road and air to many of the Croatian towns and islands and international destinations. 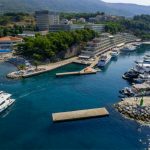 There are no hazards when approaching Marina Lav by boat, although there is a small rock west of the breakwater head (in front of the hotel). 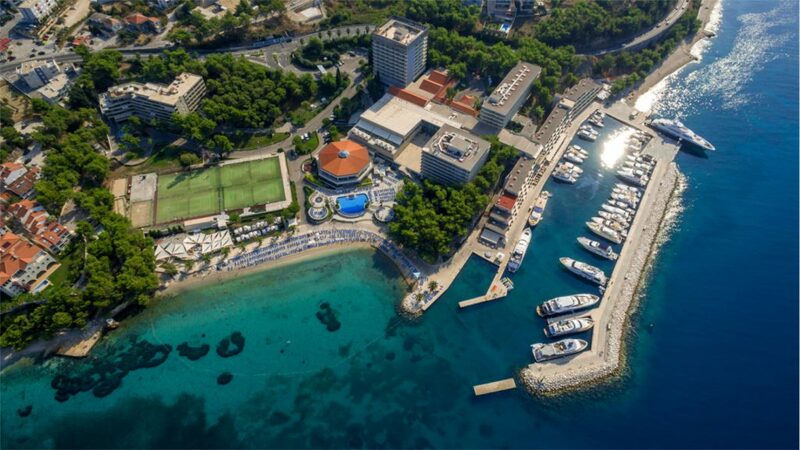 By staying at the Marina Lav you can enjoy all the amenities of a luxurious five-star hotel. 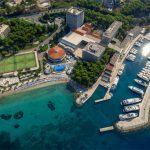 All transit guests become Marina Lav Guest club members with a benefit of using all Le Meridien Lav restaurants and bars as well as some services in Diocletian SPA center with 10% discount.